“Monografía de la aparición” | 50 x 50 x 5,5 cm | 2016 | Josep Tornero. White Noise Gallery presents the second edition of the “Any Given” project which started in 2015 with the “Any Given Post-It©” collective show. The idea behind the project is to propose an experiment on the nature itself of the work of art by imposing to the artists to create their works around ordinary life objects, far from their usual researches and from the traditional fine-art definition. 47 artists among painters, sculptors, photographers, street-artist and performers, coming from ten different countries have been asked, for the second edition of the project, to work on the book, one of the most evocative and symbolic objects from every day life. The artists accepted the challenge and the inspiration has been coming from literature masterpieces as much as POP icons; from big classics to comic books, from tabloids to musical scores right to the sacred texts. Each artwork has been created using the book both as a conceptual and physical inspiration, by working around its content and by altering its material construction until a total transformation was achieved. The show will feature paintings, pictures and sculptures as well as dioramas, microscopes, labyrinths, kaleidoscopes, augmented reality, constellations and radiographies. 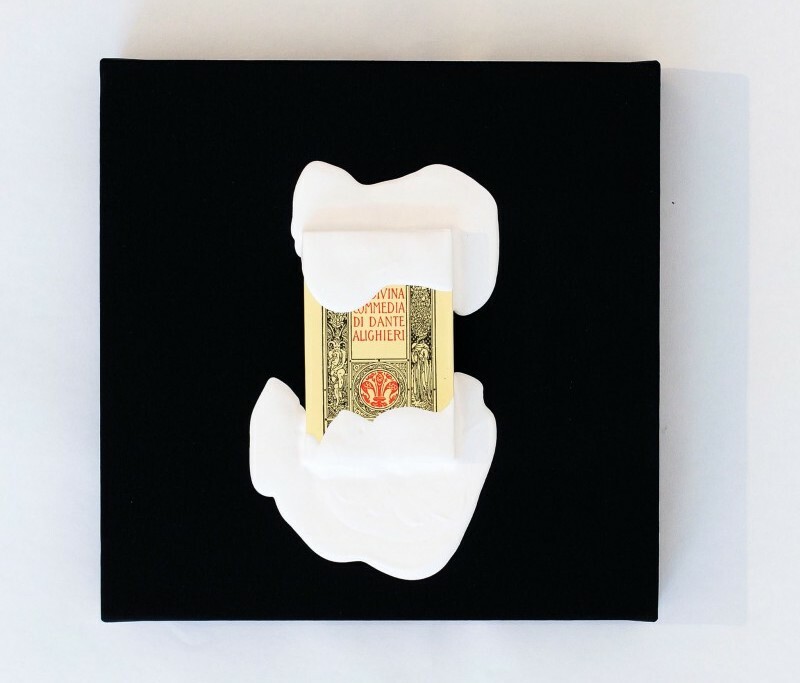 Several artist books will be featured as well: many of the artists worked in order to create new books from scratch, trying to give their contribution to a genre that has been widely developed from medieval miniature books until its most contemporary declinations. Suspended in an ideal balance between literary and figurative works, they are hybrids that enable the viewers to fully explore their creator’s poetic. Forty-seven artworks built around 47 different plots, it will be viewer’s duty to discover them all.